November, 2018. The Greatest Hits of Wanda Jaynes has been nominated for the International DUBLIN Literary Award! 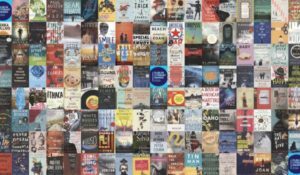 Here’s a CBC article listing the eleven Canadian books nominated. The Greatest Hits of Wanda Jaynes is a contender for the 2018 NL Book Award for Fiction! In this episode of The Write Project, I talk to Matthew LeDrew about The Greatest Hits of Wanda Jaynes and writing in general. Best Kind is The Overcast’s Read of the Month for August! The Greatest Hits of Wanda Jaynes picked up a bronze IPPY Award! You can check out the 2018 winners here. 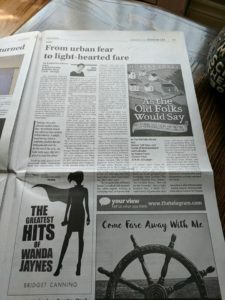 I did an interview with The Newfoundland Herald where I talk about how getting published makes you feel like your guts are hanging out for everyone’s viewing. You can read it here. The Greatest Hits of Wanda Jaynes is up for an Atlantic Book Award! You can read about all the NL Finalists here. The Greatest Hits of Wanda Jaynes is The Overcast’s Read of the Month! The Greatest Hits of Wanda Jaynes is a finalist for the BMO Winterset Award! This year’s winner will be crowned at Government House on March 22nd. All the authors will read and discuss their books at The Rooms the night before, 7pm. 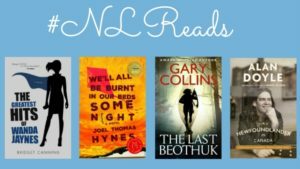 The Greatest Hits of Wanda Jaynes is part of this years’ book selections for NL Reads! I did a fun Q&A on The Greatest Hits of Wanda Jaynes with writer and curator Gloria Hickey. 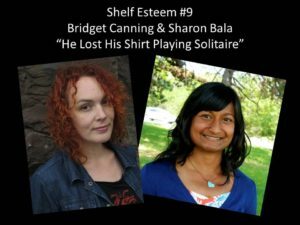 Trudy Morgan-Cole chats with Sharon Bala and Bridget in Episode 9 of Shelf Esteem. September 14/2017. Shout-out from The Coast: Word on the Street’s best. August 24/2017. Susan Gibson reviews The Greatest Hits of Wanda Jaynes in her blog, A Year of Books. July 27/2017. Water from Stones mentioned in IndieWire: Fantasia’s Frontieres Market: The Best Horror Films Yet to Be Made. July 6/2017. Review from Atlantic Books Today. The Greatest Hits of Wanda Jaynes: What Would You Do If a Man Started Shooting? June 16, 2017. Q&A on The Greatest Hits of Wanda Jaynes with author Paul Butler. June 15, 2107. The Greatest Hits of Wanda Jaynes is one of Atlantic Books Today’s 2107 Summer Picks. June 14, 2017. I’m taking part in this year’s Ottawa International Writers Festival. June 1, 2017. Eva Crocker for The Overcast: Bridget Canning’s Killer Debut, The Greatest Hits of Wanda Jaynes. May 16, 2017. 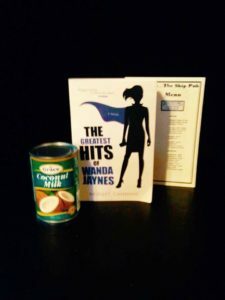 The Greatest Hits of Wanda Jaynes “an excellent debut novel” from The Miramichi Reader. May 13, 2017. ” “The Greatest Hits of Wanda Jaynes” is crafted with immediate, often urgent, writing, a satisfying read, and good work.” Joan Sullivan reviews The Greatest Hits of Wanda Jaynes for The Telegram. May 12, 2017. Your Greatest Hits (and Misses) Online: Ellen Curtis reflects on tragedy in the public eye and The Greatest Hits of Wanda Jaynes. May 1st, 2017. I’m working on developing her script for “Water From Stones” with mentor Carrie Gadsby through the From Our Dark Side Incubator Program. April 19th, 2017. In this article from the Newfoundland Quarterly, I write about the ideas behind The Greatest Hits of Wanda Jaynes. April 10th, 2017. In episode three of Trudy Morgan-Coles’ podcast, Shelf Esteem, Trudy Morgan-Coles, Robert Chafe and Meg Coles discuss what they’re reading and what’s coming up – some kind words on The Greatest Hits of Wanda Jaynes. From March 2017, I’m one the winners of this year’s From Our Dark Side genre concept competition. From February, 2107: A nice write up from The Overcast on my Cox and Palmer Literary Award win. Some details on Casey, written by Cody Westman, co-written by me, and soon to be filmed through NIFCO’s Picture Start Program.